It's Mission Payday tomorrow! 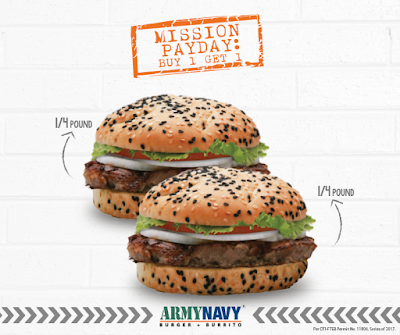 Get ready to conquer Army Navy's Buy1 Take1 PayDay Mission at ArmyNavy Net Quad and ArmyNavy Mckinley on September 29, 2017! Be sure your gears are ready to get Army Navy's Classic Burgers for P185 for two! 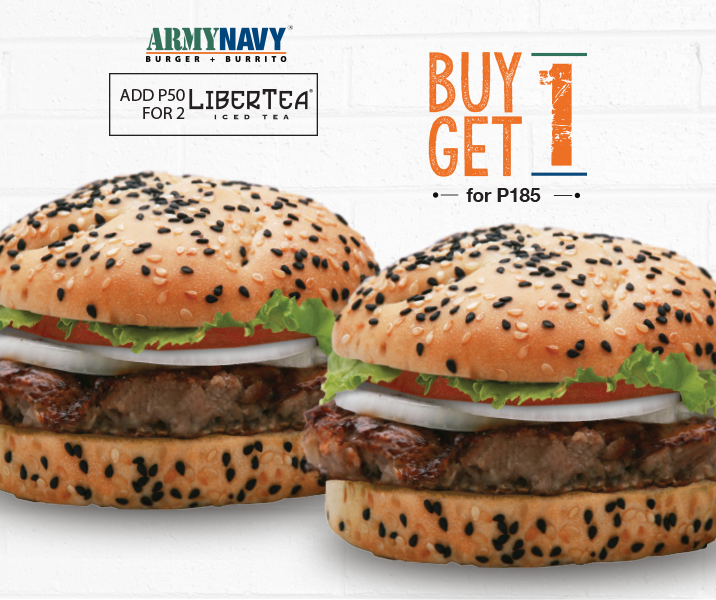 Promo is valid at ArmyNavy Mckinley and ArmyNavy Net Quad on September 29, 2017 from 7am to 8pm only for dine-in and take out transactions. Buy one (1) Classic Burger and get one (1) Classic Burger for free. In the purchase of goods and services which are on promotional discount, the senior citizen can avail of the promotional discount or the discount provider under the Expanded Senior Citizens Act of 2010, whichever is higher.